At this time of year, it’s difficult to get away from predictions about what’s going to happen in 2015 – and UFO sites have chimed in with their own unique forecast. The Pope is about to reveal the existence of aliens, sites such as YourNewsWire claim. Oh, and a relationship between the Vatican and the little green men which includes face-to-face meetings with previous Popes and rocket-ships full of Jesuits travelling to Nibiru, a ‘secret’ planet in our own solar system. We’ll just let that settle in for a moment. The evidence is that the Pope said he would baptise a Martian (which he may well have to deliver on after the Mars Curiosity Rover allegedly smelt an alien fart on the planet). 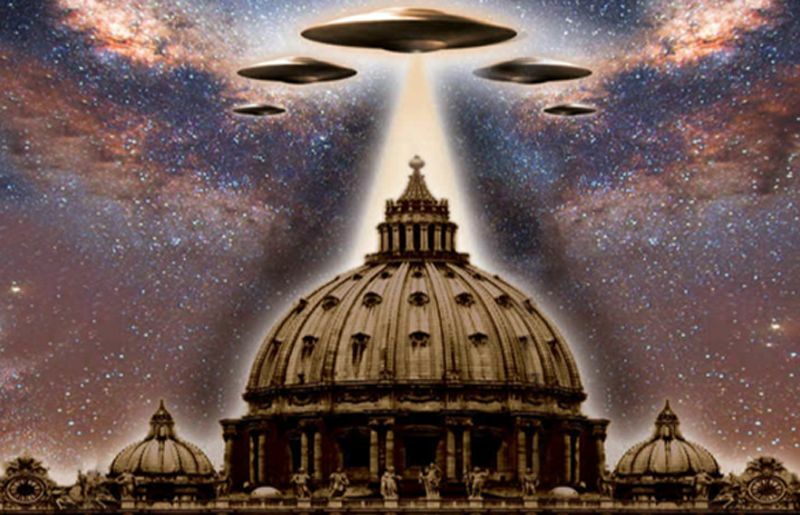 Even better, some UFO sites believe that the Pope has only just had his Men in Black-style briefing on the Vatican’s long relationship with aliens, and in fact the Holy See has been working up to this moment for decades. Fingers crossed it’s true. (Spoiler: it probably isn’t). Nigel Watson, author of UFOs of the First World War, remains skeptical, ‘The Pope said he would be willing to baptize Martians, but he was using this to illustrate a point, rather than that he was likely to be confronted with a Martian or any other type of alien wanting to join the church now or in the near future. ‘He was being theoretical, but the Vatican has indeed considered the possibilities of extraterrestrial life and its implications.